Huge test for stocks: Can big, fat IPOs succeed? 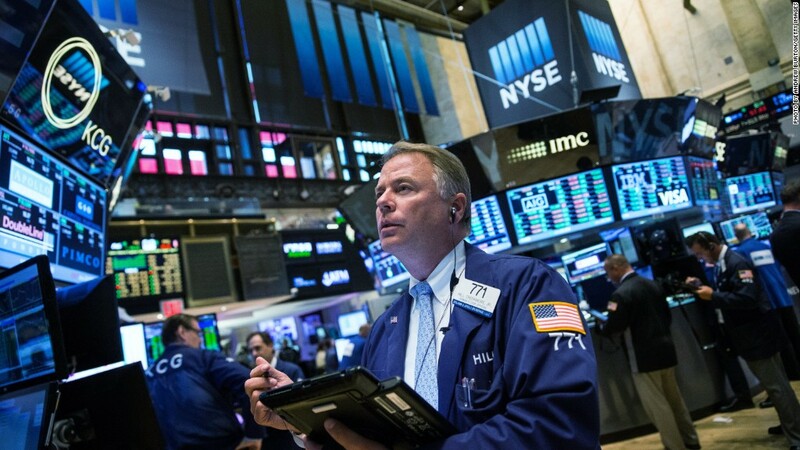 The stock market seems to have finally stabilized after a pretty rough patch. But are investors really in the mood to take on more risk? We may find out this week once two giant companies test the waters with their initial public offerings. Payment processing giant First Data Corp (FDC) and grocery king Albertsons (ABS) -- which also owns Safeway -- are scheduled to return to the market. Both were taken private in the last decade. First Data was bought by investment firm KKR (KKR) in 2007. Albertsons was acquired by private equity firm Cerberus in 2013. Neither company operates in a market sector that would normally be considered all that exciting -- especially for the types of investors that usually flock to IPOs. 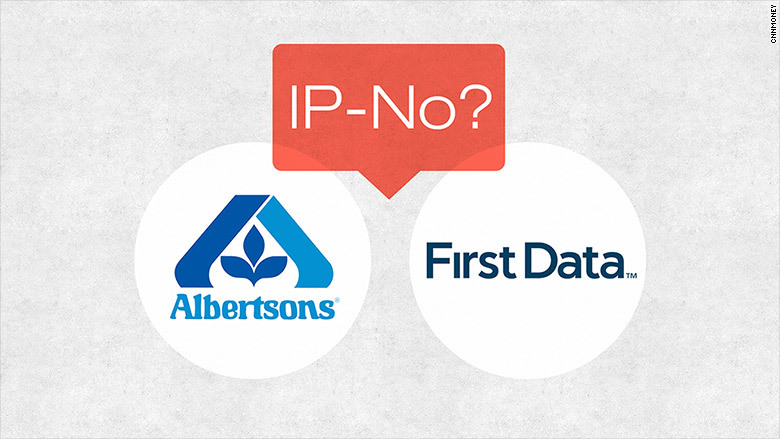 But unlike many other newer companies that go public, both First Data and Albertsons bring a well-known brand name, established history and some heft to the table. First Data is tentatively set to raise more than $3 billion through the sale of 160 million shares. That would make it the biggest IPO of the year. Albertsons intends to sell more than 65 million shares and raise $1.6 billion. So if either of these IPOs are big hits when they start trading again, that could be a clear sign that this bull market is back on track. At first blush, the odds are against both companies. First Data is currently not profitable and sales were up just 1.6% in the first half of the year. It also has a whopping $21 billion in debt as a result of the leveraged buyout by KKR. Albertsons too is losing money. Sales grew just 2.2% in the first quarter. And the company has $10.7 billion in debt. There's also the fact that investors have soured on many excessively hyped new stocks lately as well. It's been more IP-No! than IP-Oh! Related: GoPro has crashed. Can drones rescue it? Several high profile offerings from the past year have plunged from their peaks, including Alibaba (BABA), GoPro (GPRO), Shake Shack (SHAK) and Fitbit (FIT). And just last week, Pure Storage (PSTG) had a lackluster debut. This company is a so-called unicorn, a venture-backed startup worth at least $1 billion. Pure Storage edged above its IPO price Monday morning. But its struggles could be a potential problem for the likes of other unicorns that may one day look to go public, such as Uber, Airbnb and Snapchat. Still, it's possible that First Data and Albertsons could find some love from Wall Street this week. First Data should benefit from the growing trend towards e-commerce and mobile transactions. Competitors Fiserv (FISV), Global Payments (GPN) and Vantiv (VNTV) are all doing reasonably well too. And the company's CEO, Frank Bisignano, is widely respected in the industry. Bisignano was formerly the co-COO of JPMorgan Chase (JPM) and was once thought to be among the top candidates to eventually succeed Jamie Dimon as Chase CEO. Bisignano is also First Data's second-largest shareholder. As for Albertsons, the supermarket chain could piggyback off the success of key rival Kroger (KR). Shares of Kroger are up nearly 20% this year thanks to strong sales. Albertsons CEO Robert Miller was formerly vice chairman of Kroger. He also has experience in the lucrative organic grocery business, having served as chairman of Wild Oats. So First Data and Albertsons both have some good things going for them. But it remains to be seen if investors are willing to overlook their lack of profits, anemic sales growth and massive debt loads.